Contact details so that I can be in regular contact and a good description of what you require me to do. May possibly need access to an email account if the work requires email management. Laura is reliable, helpful and responsive. She can pick things up very quickly and provided valuable assistance and helped our company through a very busy period. I highly recommend her work. Brilliant as always. Saves me so much time!! Did exactly as was asked in timely manor. I couldn't fault a thing! Excellent work, as always. Thorough and reliable. Thank you Laura! I am a freelance Virtual Assistant offering 15 years administrative experience and have been running my own businesses for the last 5 years. In the past, I have worked predominately...Read moreI am a freelance Virtual Assistant offering 15 years administrative experience and have been running my own businesses for the last 5 years. In the past, I have worked predominately in the public sector as an administration manager for museums and libraries but now I work primarily for privately run London companies offering both PA assistance and more complex admin management. 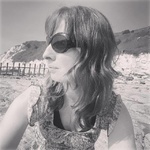 As a VA I work for multiple clients across a variety of business sectors such as HR/Recruitment, Accounting, Digital Marketing and Teaching/Education. I offer a range of administrative services to my clients, including diary/ email/file management, report writing, social media marketing, website maintenance, finance monitoring and book keeping, customer services and marketing and much more!